Topics Include: Soil-based Gene Discovery: A New Technology to Accelerate and Broaden Biocatalytic Applications The Potential of Site-Specific Recombinases as Novel Reporters in Whole Cell Biosensors of Pollution Microbial Phosphate Removal and Plyphosphate Production From Wastewaters Biosurfactants: Evolution and Diversity in Bacteria Comparative Biology of Mesophilic and Thermophilic Nitrile Hydtratases From Enzyme Adaptation to Gene Regulation Acid Resistance in Escherichia coli Iron Chelation in Chemotherapy Angular Leaf Spot a Disease Caused by the Fungus Phaeoisariopsis griseola (SACC.) Ferraris on Phaseolus vulgaris L.
An eclectic volume of topical reviews on all aspects of applied microbiology. 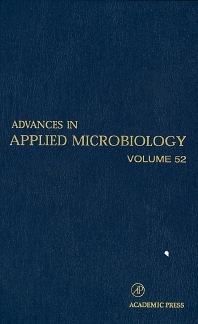 It contains 14 comprehensive reviews of current research in applied microbiology.